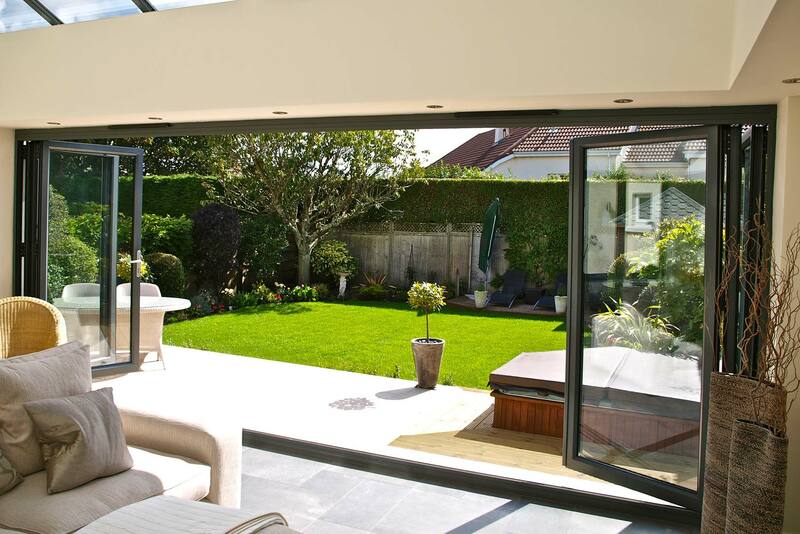 Bifold doors will open up your living room and give direct access to the patio or garden. The perfect solution for those hot summer days. They fit easily into your decor whether contemporary or traditional. For a trustworthy, reliable and traditional company to install your bifold doors you could do no better than chose Camberley Glass and Windows. We have been working in the Bisley area for almost 50 years, having begun as a family run group of companies in 1965. Our reputation is built on a professional service giving value for money and honest advice, which is why so much of our custom comes from personal recommendation. We stock a wide range of bifold doors in varying materials, colours and textures. Our doors are manufactured to exceed British Trading Standards so that there will be minimal heat loss and maximum noise exclusion with a high level of security. All our bifold doors are fully guaranteed. Our installation team is FENSA registered and we are fully qualified in all aspects of correct requirements and regulations. The testimonial page on our website tells what our customers think of our service, and you can also see our high ratings on Checkatrade. We are also on the list of Buckinghamshire and Surrey Trading Standards Approved traders. Why not visit our showroom at our offices at Camberley, Surrey, or give us a call. Our advisers are on hand to answer any questions you may have and to offer the best advice without any pressure selling.